The iLLPHONiCS did the local scene proud. After a lackluster showing in 2015 (Billy Idol? Seriously? 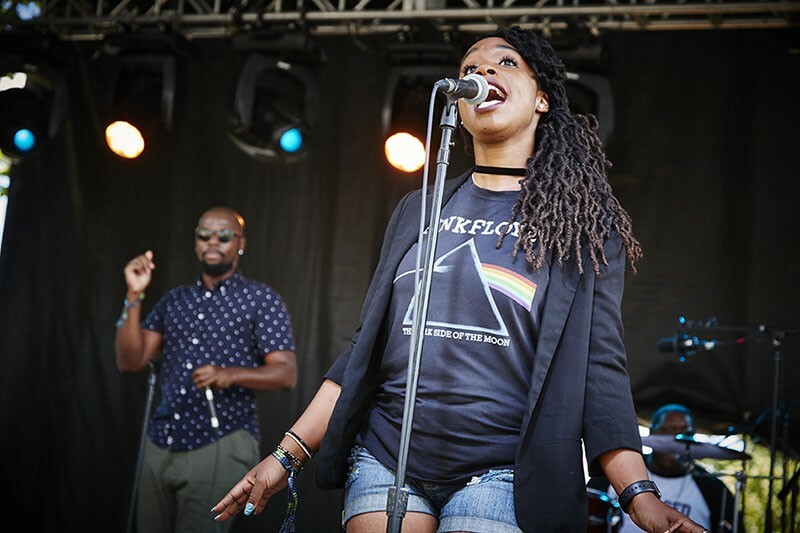 ), LouFest came roaring back in full force this year with a diverse lineup that far better represents the city from which the fest takes its name. Now back in local hands — Austin-based event production company C3 Presents, which largely took control of the fest from 2013 to 2015, was involved in only an advisory capacity this year — LouFest once again felt vibrant and fun, with seven St. Louis-based acts given prime afternoon slots on the roster. Scores of local food vendors added to the St. Louis flavor, and the out-of-town artists on the bill seemed carefully selected with the city's demographics in mind. St. Louis natives Rich Toma and Mike Van Hee of Listen Live Entertainment proved the festival is in more-than-capable hands. It's now beget a sort of spinoff as well: LouFest founder Brian Cohen, also a St. Louis native, decamped earlier this year to found the three-day Murmuration Festival, held for the first time this year on the weekend of September 23 on the Cortex grounds. Two great September festivals? Every city should be so lucky.